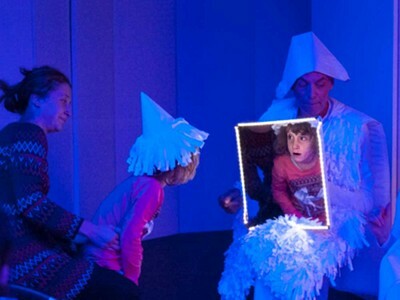 Here’s an arts program with a mission: from April 10-May 6, Lincoln Center for the Performing Arts’ month-long program, the Big Umbrella Festival, is an international endeavor that brings together arts professionals and thought leaders, and offers performances and participatory workshops for children on the autism spectrum. 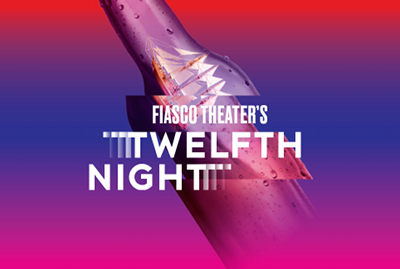 Special presentations will be offered by Lincoln Center’s resident organizations throughout the festival, including film screenings, concerts, and interactive music and dance workshops by The Chamber Music Society of Lincoln Center, Film Society of Lincoln Center, Jazz at Lincoln Center, New York City Ballet, New York Philharmonic, and The New York Public Library for the Performing Arts. In addition, workshops will be held to offer first-hand involvement in the arts. For a full schedule, BigUmbrellaFestival.org. 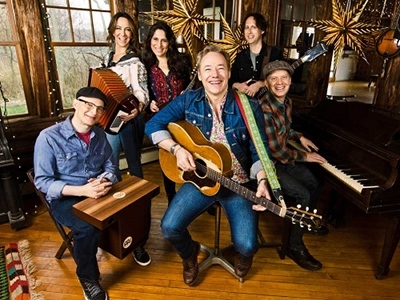 Grammy-nominated singer and songwriter Brady Rymer leads a whimsical Americana mashup, bringing his rootsy, accordion-laced pop and rock tunes to Lincoln Center for a relaxed Saturday morning show. Made up of a group of young performers on the autism spectrum and led by music therapist Gabriel Lit, the Actionplay Chorus performs original music in professional settings. In recent years, the Actionplay Chorus has performed with Weird Al Yankovic on Comedy Central’s Night of Too Many Stars, with the Greenwich Village Orchestra, and at the Brooklyn Conservatory of Music. The Silent Clowns Film Series is NYC’s longest-running regularly scheduled showcase for classic silent film comedy, presenting the silent movies of Chaplin, Keaton, Laurel & Hardy, and others, with live musical accompaniment by renowned silent film composer Ben Model. 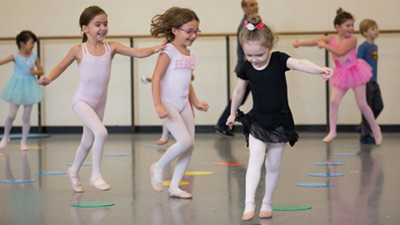 Musicians from the New York Philharmonic invite audiences on a playdate where musical instruments are toys, songs become games, and kids can make-believe whatever their hearts desire. Philippe the Penguin and host Rebecca Young lead audiences on a journey to make new friends and share in the fun of music. Designed by Philharmonic musicians together with faculty of Columbia University’s Teacher’s College, Very Young People’s Concerts combine games, storytelling, and music in a fun-filled hour that unlocks children’s imagination and talent. 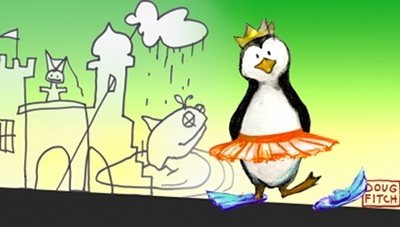 This Very Young People’s Concert includes pre-concert musical games with musicians and a half-hour hosted performance of Martinů’s La revue de cuisine, including audience participation and story with Philippe the Penguin. 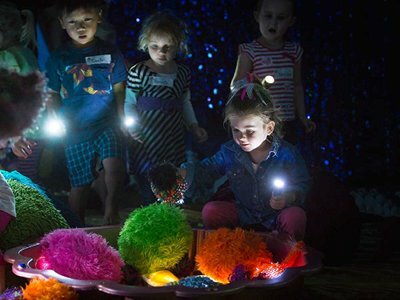 Three internationally focused theater companies, New York City’s Sidekick Theater Company (Up and Away), London-based Oily Cart (Light Show) and Australian Sensorium Theatre (Oddysea), will offer a variety of performances. See schedule for dates and times. Up and Away is both a story and an interactive experience, inspired loosely by the imagination of Jules Verne and his famous book Around the World in 80 Days. Seated in hot-air balloons, audiences join the Fogg Family Balloon Society on their 1,000th balloon ride. 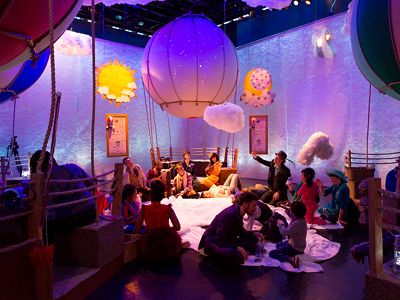 Featuring puppetry, live music, and interactive play, this “flight” travels through extraordinary places such as the Fog Bog, the Arctic Aviary, and Cloud Canyon, all with multisensory experiences. Each child in the audience has a one-on-one guide from the Fogg Family for the trip through the clouds. Creating distinct silhouettes in an exquisite play of light and shadow, Light Show brings audiences to a magical paper palace. The serene papery white landscape transitions from a beautiful warm day at the beach to a dreamy moonlit wonderland, creating a multisensory journey of textures, smells, and tactile experiences accompanied by live music from a virtuoso double bass player. Set within a beautiful undersea world, this immersive tale of best friends Crab and Turtle’s oceanic adventures comes alive through touch, smell, taste, live music and stunning imagery. Seated on beanbag sand dunes, audiences become part of the “oddysea” unfolding around them as they journey with Crab and Turtle from the beach through sparkling blue-sequined waves to a kaleidoscopic crocheted coral reef, encountering many memorable oddities along the way. This special showcase presents a selection of ten of the best short films made by students in Film Society Kids, a program that supports literacy learning through visual storytelling. These shorts will immerse viewers in the art of the silent film, as seen through the eyes of children of all abilities from neighboring public elementary schools. The screening, welcoming community members of all ages and abilities, will be followed by an audience discussion with the Film Society’s Director of Education. 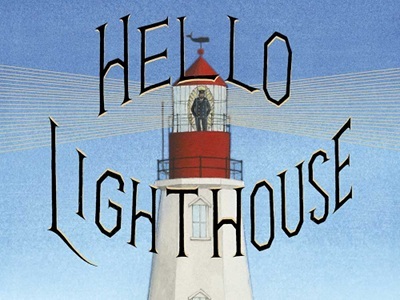 At this relaxed story hour, Caldecott Award–winning illustrator Sophie Blackall (Ruby’s Wish, Ivy & Bean) explores the life of a lighthouse through shifting seasons, changeable weather, and the tenure of its final keeper. Explore the up-close and friendly world of chamber music in the intimate Rose Studio. Host Rami Vamos and CMS artists show that the most personal of art forms speaks volumes to even the youngest listeners. 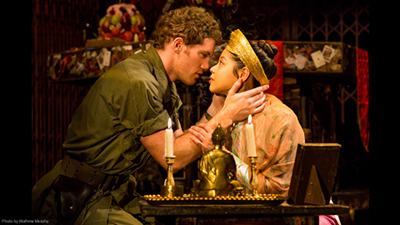 It’s time to make good on that New Year’s resolution to see more theater this year. Book now to see these six great shows which will be ending their runs in January. Two Lincoln Center shows are closing January 7. The first, Junk, is a fast-paced story about markets, drive and intrigue, set in the 80s. Starring Steven Pasquale (The Bridges of Madison County). Vivian Beaumont Theatre. 150 West 65th Street, New York City. 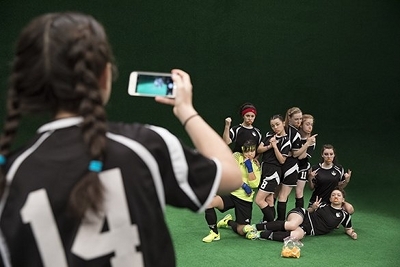 The second, The Wolves, is a story of high school girl angst and issues told by a girls’ indoor soccer team during warm-ups and practices. Great performances and creative staging. Mitzi E. Newhouse Theater. 150 West 65th Street, New York City Tickets at https://www.telecharge.com/Off-Broadway/The-Wolves/Overview. 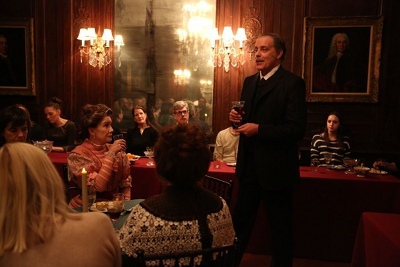 The Irish Repertory Theatre’s staging of James Joyce’s haunting novella, The Dead, 1904, takes place at a Feast of the Epiphany party over the course of one evening, with conversations, music, dancing and dining. What does it mean to be alive, or to be dead? The play ponders these questions. With a premium ticket, you sit a dinner with the actors. Starring John Treacy Egan. The American Irish Historical Society. 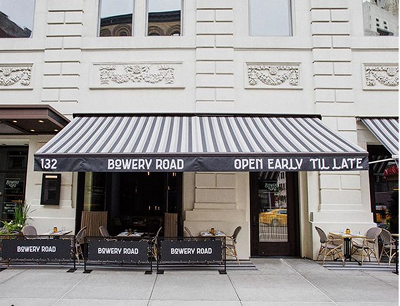 132 West 22nd Street. Closing January 7. Tickets at https://irishrep.org/show/2017-2018-season/the-dead-1904-2/. 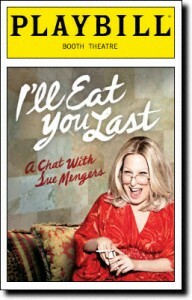 Theater lovers, if you watched the 2013 Tony Awards two weeks ago, you know there are some shows you have to see. There are also four that are closing in the next week that I would recommend searching out. Here’s a list with my comments so you don’t miss out. 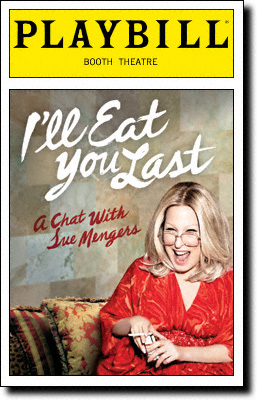 I’ll Eat You Last – Bette Midler’s one-woman show depicts the raunchy, aggressive, and sometimes self-pitying life of talent agent Sue Mengers in the 70s. It’s the Divine Miss M completely transformed into Hollywood’s brash, super-agent, who represented a glittering roster of filmmakers and actors including Barbra Streisand, Steve McQueen, Marlon Brando, Mike Nichols and Cher. Directed by Joe Mantello. Closes Sunday June 30. Booth Theatre, 222. West 45th Street, Manhattan. www.IllEatYouLast.com. Ann – Holland Taylor (the sassy mother on Two and a Half Men) is Texas governor Ann Richards in this one-woman show at Lincoln Center. The show offers a very personal look into the life of the wise-cracking Richards and her trials and tribulations as both a high-power politician and family woman. Closes Sunday June 30. 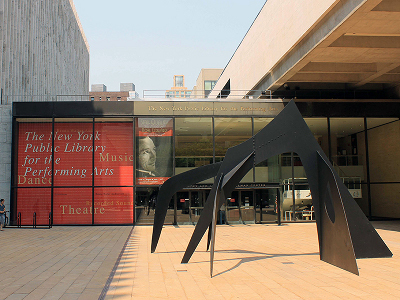 Vivian Beaumont Theater, 150 West 65th Street, Manhattan. www.TheAnnRichardsPlay.com. 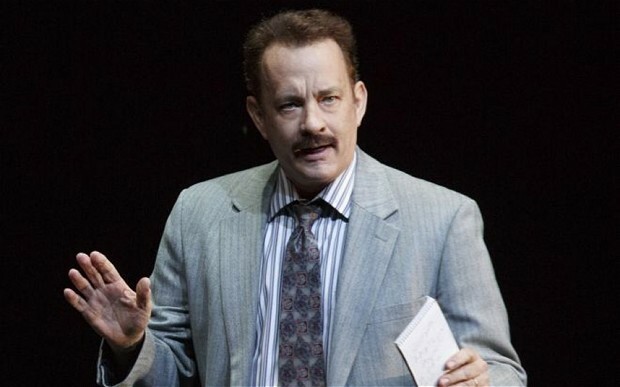 Lucky Guy – Although Tom Hanks didn’t win a Tony award for this show by the late (and great) Nora Ephron, his Broadway-debut performance is still up there with some of the greats. If you love New York history, and especially the sagas of New York tabloid journalism, this show is for you. The rest of the cast, including the wonderful Maura Tierney (Maddie on The Good Wife) and Tony Award-winner Courtney B. Vance, is terrific, too. Directed by George C. Wolfe. Closes Wednesday July 3. 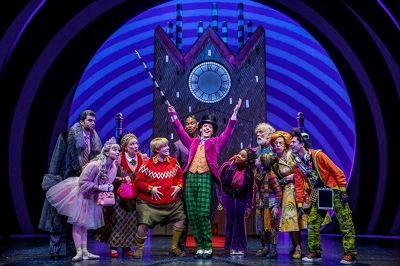 Broadhurst Theatre, 235 West 44th Street, Manhattan. www.luckyguyplay.com . Silence! 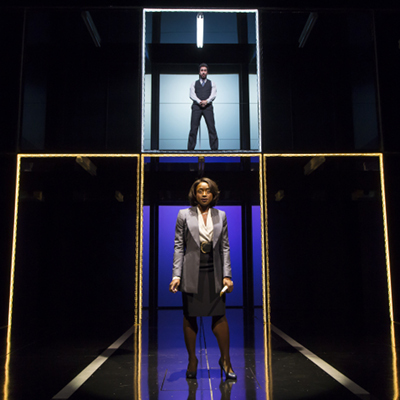 The Musical – Not the faint of stomach, this parody of Silence of the Lambs, made a successful transition from off-off-Broadway to off-Broadway with its hilarious depiction of Hannibal Lecter, Clarice Starling (the impression is dead on) , and, especially, the lambs themselves. Closes Sunday July 7. Elektra Theatre, 669 Eighth Ave., Manhattan. www.silencethemusicalnyc.com. Pippin – Tony winner for Best Revival of a Musical, the magically recast Pippin is a glorious evening of circus, music, theatrics, and Bob Fosse dance. 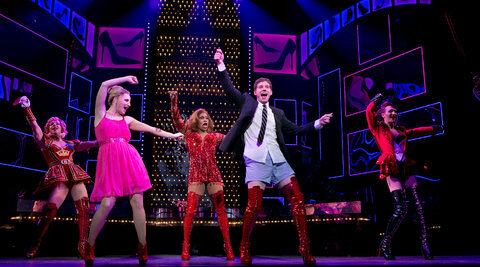 Tony Award winners Patina Miller and Andrea Martin are breathtaking as are the entire cast of players. Music Box Theater, 239 West 45th Street, Manhattan. www.PippinTheMusical.com. 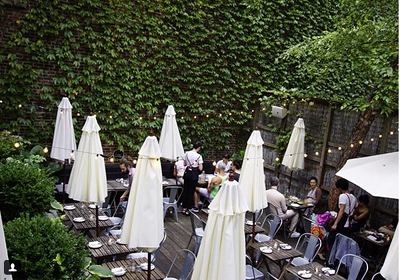 There’s a reason why New York City is the #1 vacation destination in the US. 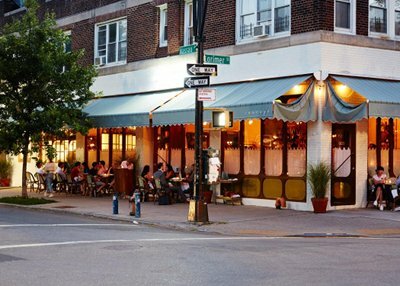 Both visitors and locals appreciate its diversity and energy – actually, that’s why those of us “locals” live here all year. 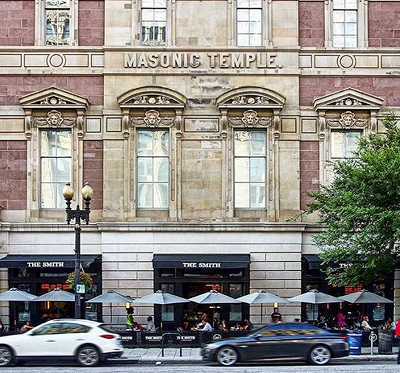 But, to live here all year, it’s important to know how to enjoy the city while going easy on your pocketbook. 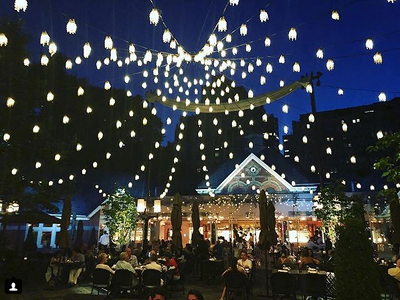 When it’s warm outside, New York City shows off its finery with concerts, recreational activities, art, and more. And the cost of public transportation to enjoy them? Well, it’s a mere pittance in reality, and you can also enjoy the entertainment value of what’s happening underground as well. 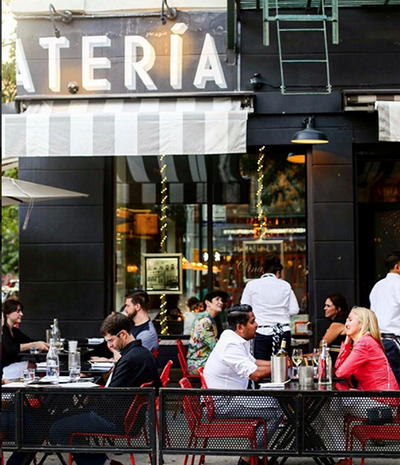 Here are some of our favorite things to do that are absolutely, positively free.